It always feels like a week in Pucallpa equates a handful of hours back home. 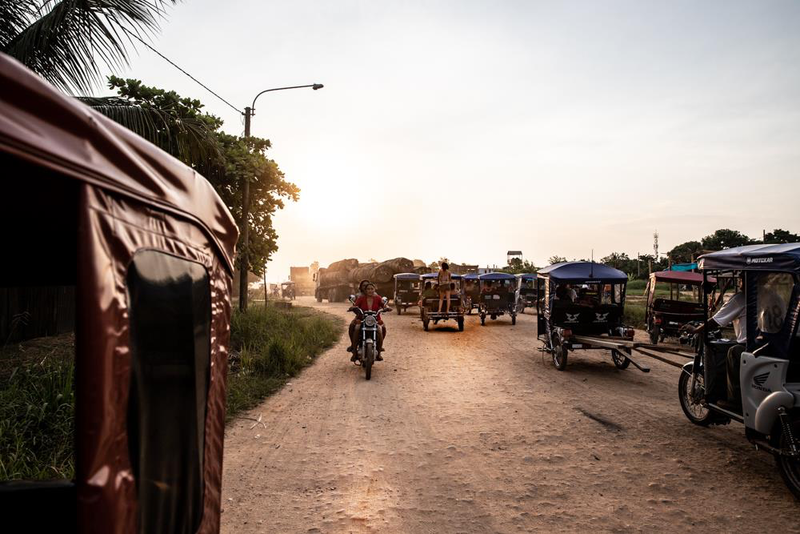 It speeds by in motocart rides, dusty streets, children calling and jungle walks under banana trees. We open our eyes one morning and already it’s time to go. But behind us, like a dream, are textured memories of all the things we’ve accomplished here. Let’s take a look at this year’s highlights! 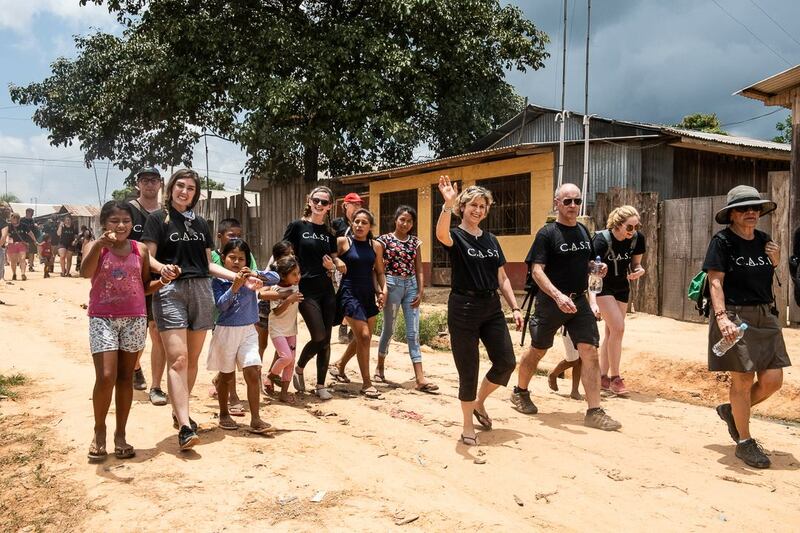 This past March marked our twelfth year on the ground in Pucallpa, and we were joined by an incredible team of 57 volunteers from all over Canada, the States, and the U.K. 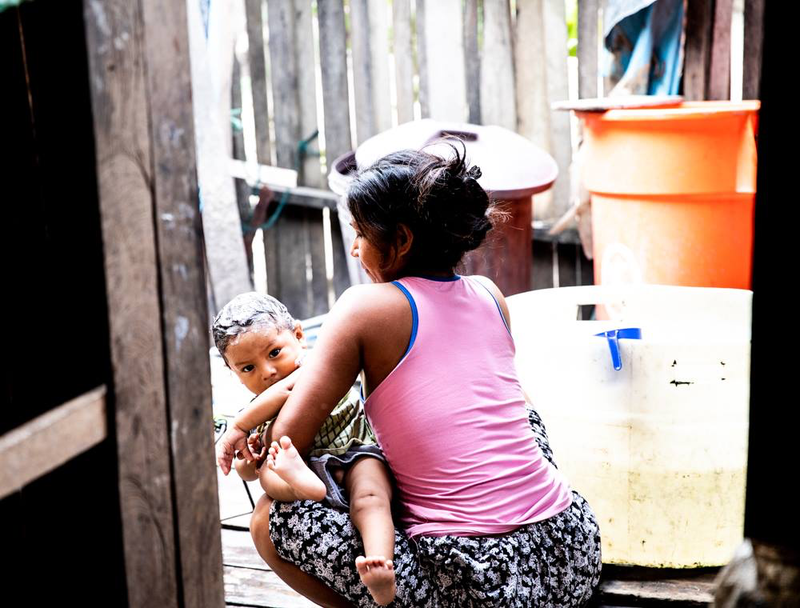 Together, we revisited the programs that have thrived over the years, emerging from the three core pillars of the foundation: shelter, education, and health. Our team got their hands dirty, their shirts soaked, and their stamina tested with this year’s C.A.S.T. to-do-list: two new homes and three renovated school classrooms in the span of one week. Where there had been crowded, makeshift houses just days ago, suddenly stood sturdy, sheltering homes for two new families. This brings the total number of C.A.S.T. homes in the periphery of the Hub of Hope to 30, all brightly coloured in sunshine yellow. 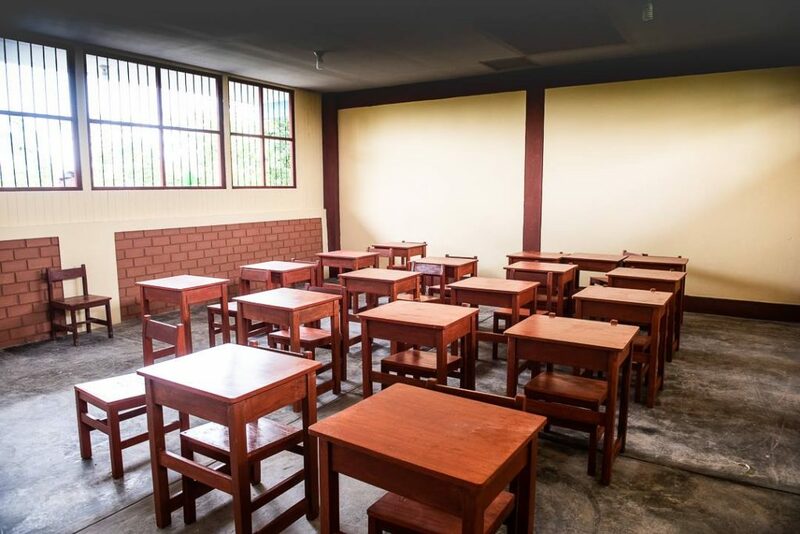 Meanwhile, the classrooms were successfully renovated just in time to allow 266 students to begin classes on March 11th. These were students who, until then, had been deprived of a proper environment in which to learn. 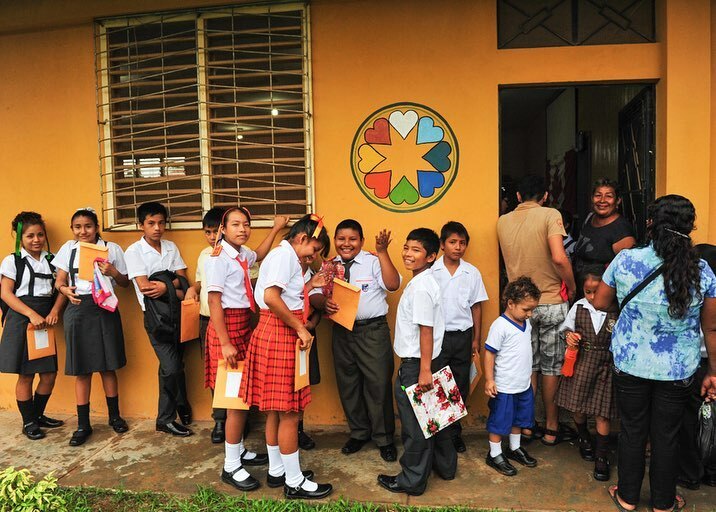 On the front of education, the foundation’s One School for All program is experiencing constant expansion and the long-sought dream of true sustainability. This year, 24 new children have joined the program. 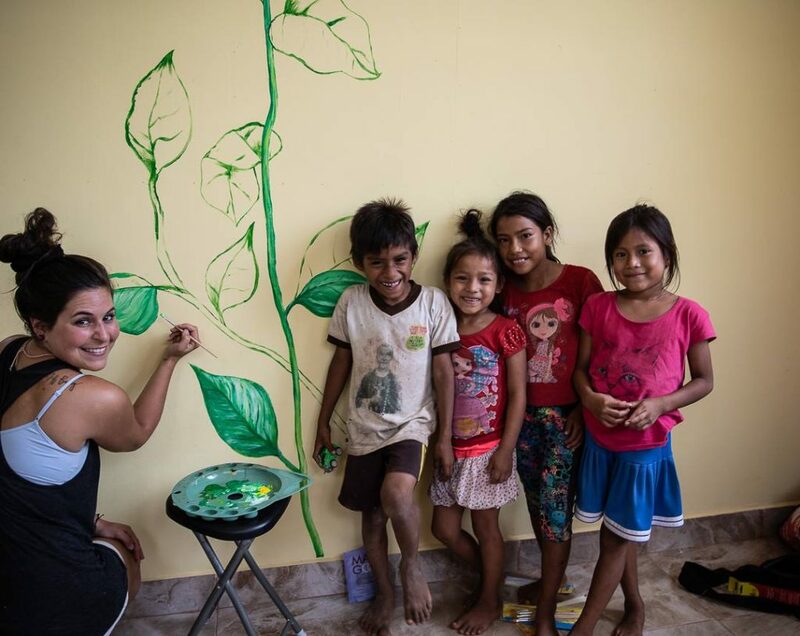 To date, 350 children benefit from yearly sponsored education under the roof of this program. It is a feat only made possible due to incredibly generous corporate and private sponsors who believe in the importance of encouraging young minds to dream, to work hard, and to question the dynamics of their world. Headed for the much anticipated evening of the year: school registration night! We’re also incredibly proud to be partnering with Scotia Bank and their vision of youth development through the power of play! Scotia Bank’s One World Play project introduced an innovative, unpoppable futbol designed to withstand the most difficult terrain conditions of any geography. 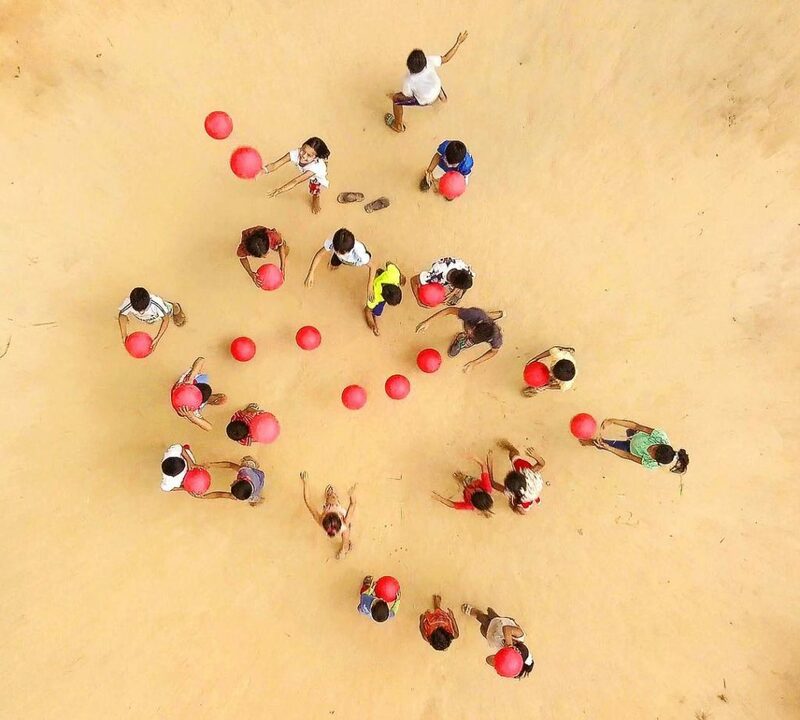 The first initiative brought 2 200 “unstoppable” balls to schools serving more than 90 thousand children across Lima, Arequipa, Piura, Pucallpa, Junín, Lambayeque, La Libertad and Iquitos. 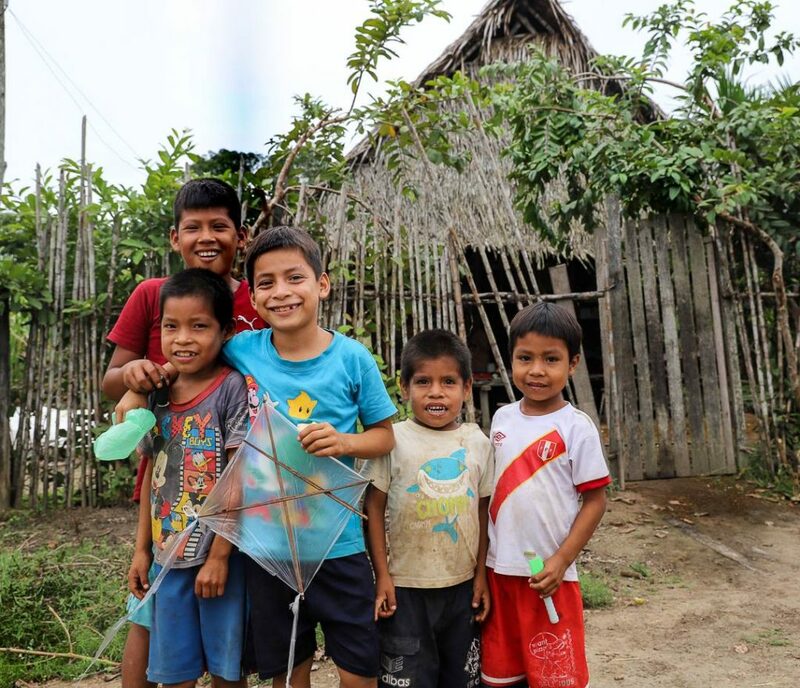 Alongside side us as partners in this vision are NGO’s such as PLAN International, Care Peru, Creer Foundation, Kantaya and Special Olympics, among others. The symbol is designed to inspire youth from communities with limited resources to be bold and unstoppable in pursuit of their dreams. 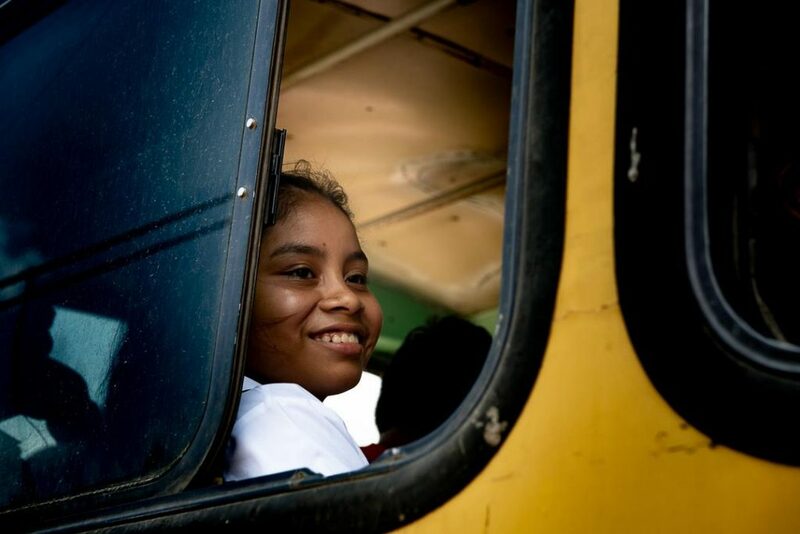 But perhaps no story could better illustrate the dream behind the One School for All program more acutely than that of Amelia and Guadeloupe, who were the two very first children to be sponsored by Pure Art founders Robert and Brigitte back in 2008. Amelia grew into her passion for culinary arts and graduated with a chef’s diploma, while her sister, Guadeloupe, followed her curiosity into Psychology. 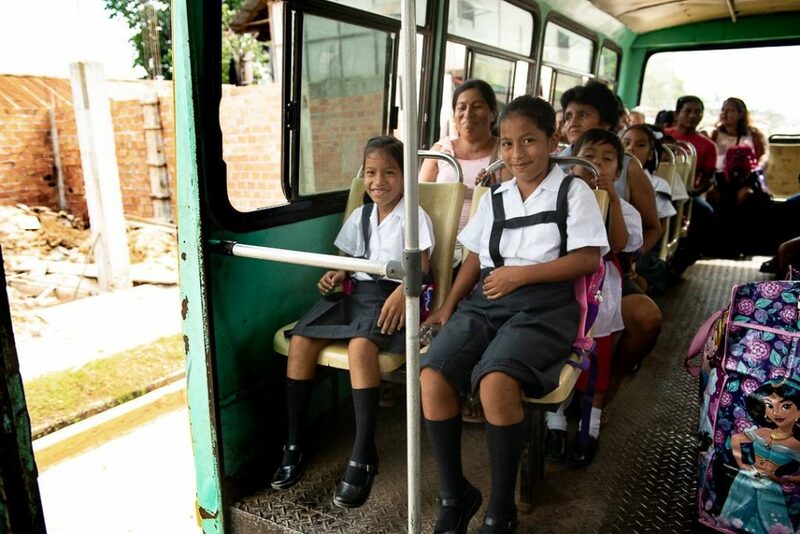 Both are now still based in Manantay: Guadeloupe has been asked by sister Marie-Collette for assistance in designing educational programs that will address prevalent family issues encountered in the slums. Amelia has done so well for herself as a baker, that she is now funding her own education into the field of law, because of her expressed desire to be able to do more for the people of her community. And from the Hub’s sewing centre, a program designed to build independence, entrepreneurship and capacity for women in the community, we bring the exciting news that the seamstresses will soon be receiving their first industrial sewing machine. 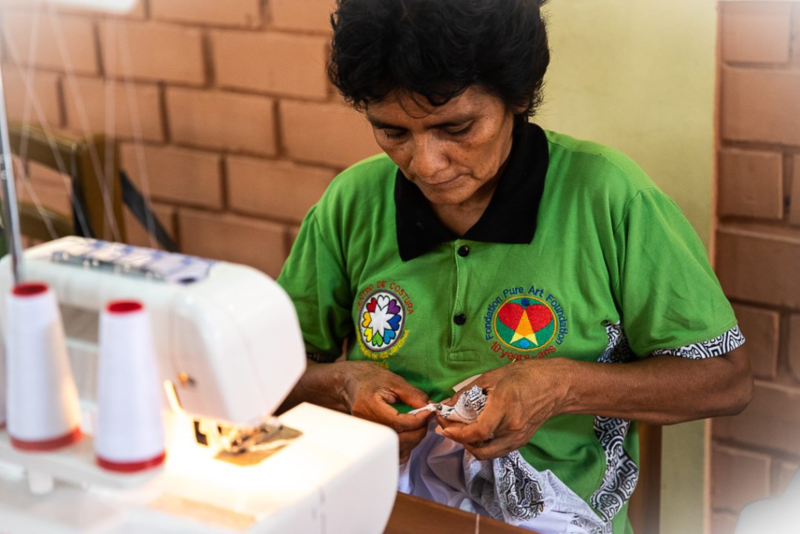 This will allow them to begin making garments that will be able to compete in any market, as well as boost their confidence in approaching their own potential clients from Pucallpa. We’ve had a great time introducing the women to Pinterest where they can create mood-boards and flourish their inspiration, as well as to get them acquainted with the kinds of looks and fashions that sell to broader audiences. Right next door to the sewing centre, the daycare constructed in memory of Ben McKinnon has officially opened its doors to its first 12 children! Many women enrolled in the sewing program are mothers, and as they deepen their knowledge and craftsmanship, their young children will be so close they’ll be able to hear each other laughing. 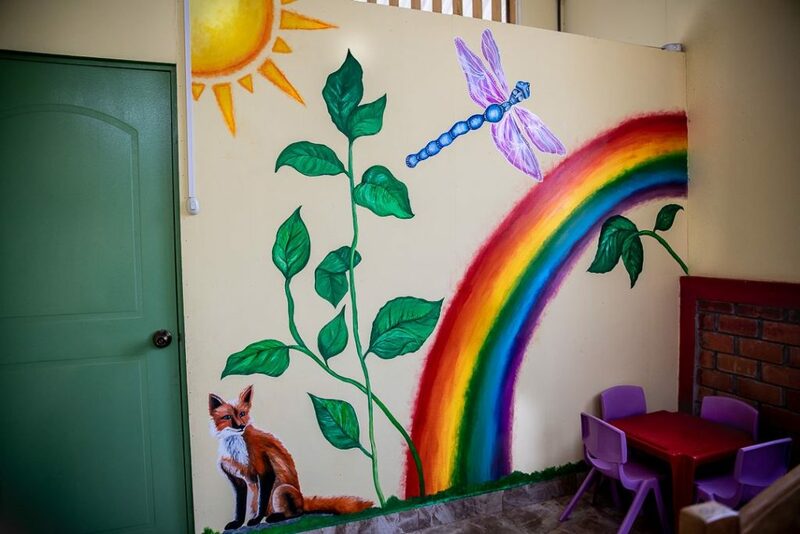 Volunteer Olivia Martel from Ottawa donated her time and talent to the daycare by painting an incredible mural complete with all of the colours needed for joy, optimism, nourishment and growth. 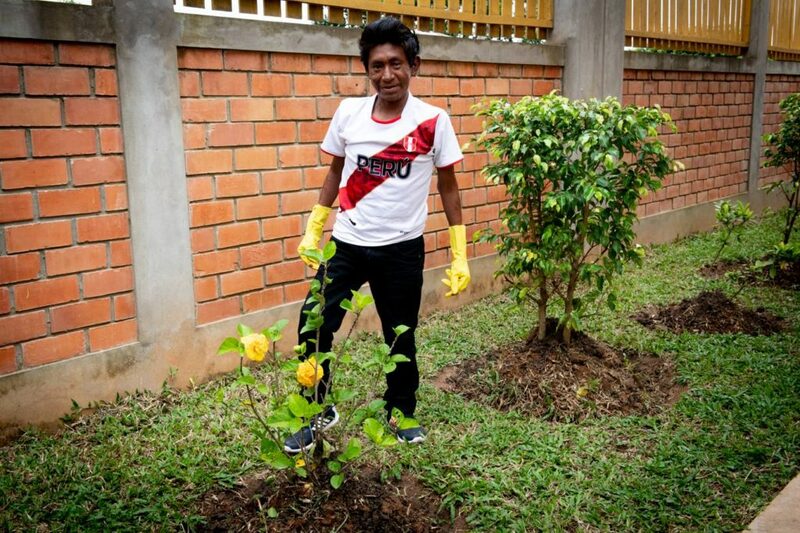 As for the foundation’s progress in the field of health, nothing could have lifted our hearts more than the sight of Luis – whom we first met a year ago, crippled by leprosy – now standing upright, healing remarkably, waving at us with gardener’s gloves from beside a rosebush on the grounds of the Hub of Hope. 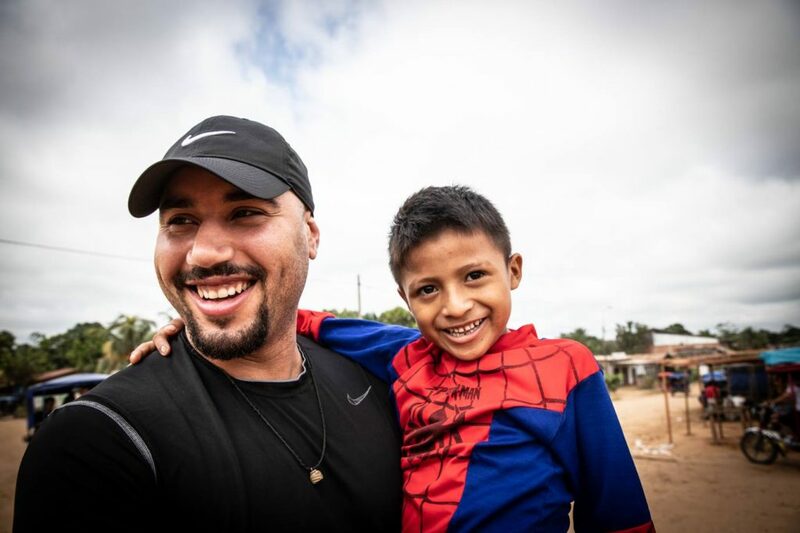 Luis’ current recovery is made possible thanks to a host of actors who became involved with the case, that of a young boy who was denied simple, attainable treatment simply because he lacked a registered identity. Unfortunately, such is the state of many people in the slums. 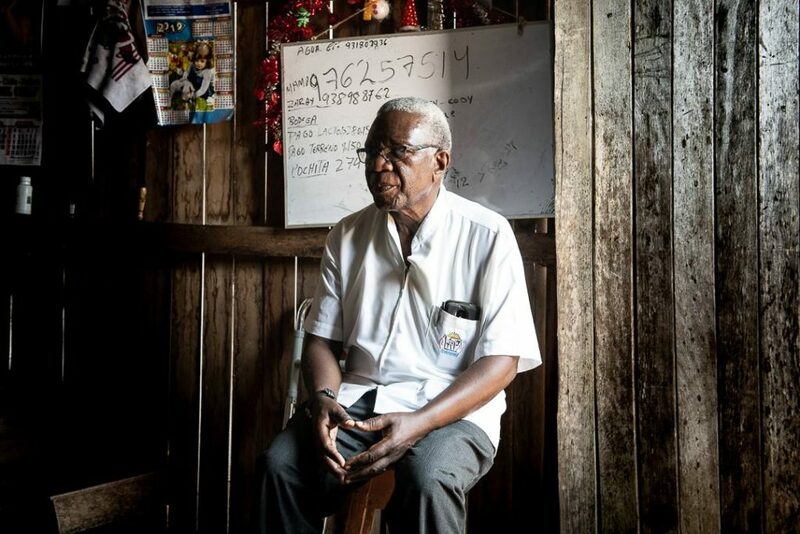 Most notably, we owe our deepest gratitude to Dr. Lucas, a Tanzanian physician who has been serving the people of Pucallpa for over 30 years, sister Marie-Colette, who first brought the case to our attention, as well as the Leprosy Mission of Canada, that applied pressure internationally until members of the World Health Organization became involved. Finally, we’d like to to underline that behind a report like this one is an entire crew and force for good that we have been blessed to become acquainted with over the years. There is every single volunteer that has ever travelled with us. There is every private and corporate sponsor that believes in education as much as we do. There is everyone who put together a fundraiser or spoke at school or e-mailed someone at the World Health Organization. 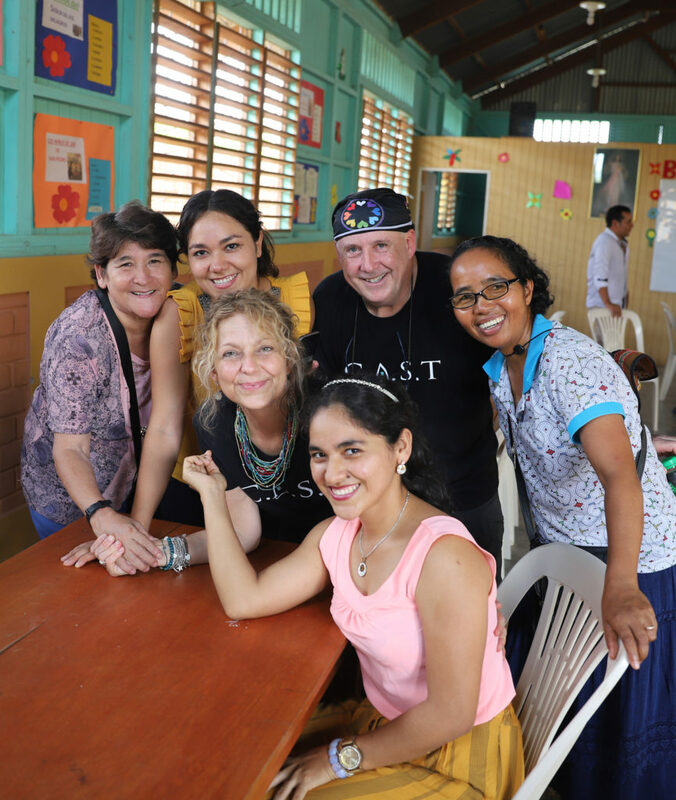 There is Dr. Lucas and Marie-Colette who stay on the ground all year, devoted to these people and their stories. Every victory here is shared, and we give thanks every day that you’ve shared the journey with us.